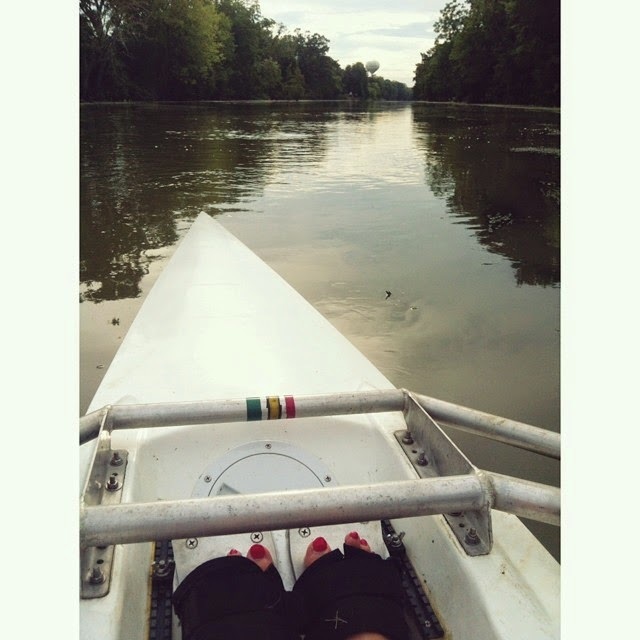 I haven't written about my rowing since March, and that's way too long! 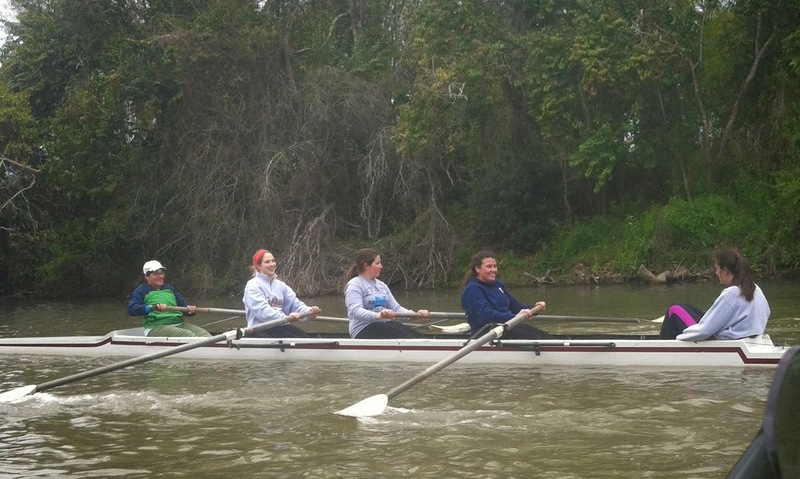 This was taken in March… I'm anxiously awaiting September when I can get back on the water with these ladies! 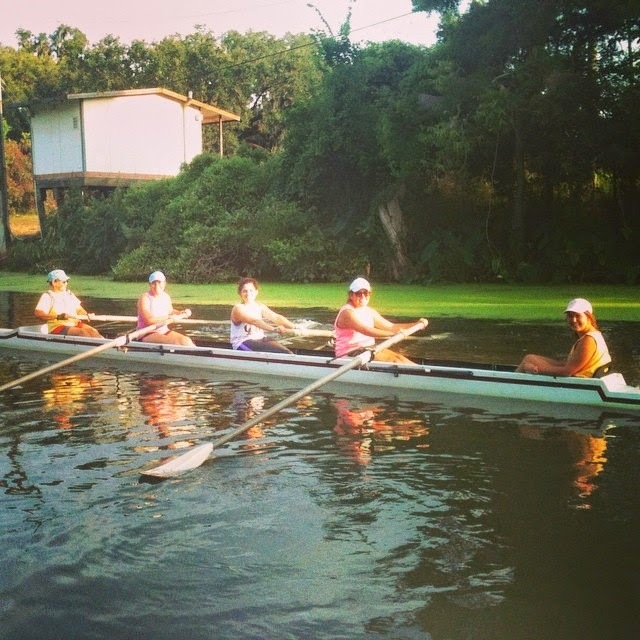 Since the last time you heard, rowing on the bayou has taken off tremendously! So many of my sorority sisters have come out and tried it (and loved it, of course!). Me, my coach, and three of my sisters yesterday. Their first time in the four! Personally, I've built up enough endurance over this summer to row a 2k (usual race length) in the training single without stopping! I'm hoping to graduate to the racing single within the next few weeks. Any readers out there that love rowing, too?